Welcome to Creative Mobile Interiors! 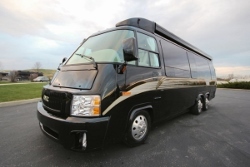 At CMI we design and build custom, one-of-a-kind vehicle conversions of all types and sizes. With a reputation for high-quality craftsmanship, close attention to detail, and an unwavering commitment to customer service, we make it our goal to give you something you cannot find in the mass market. 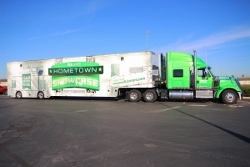 We are family owned and specialize in a range of projects that include, but are not limited to: custom motor homes, executive vans, tailgating vehicles, RVs, mobile offices, off-the-grid adventure campers, family vans, mobile marketing/display trailers, and much more. Come to CMI and discover how mobile architecture is created! 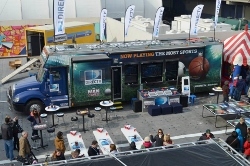 Please explore our portfolio to see some of the many trailers, Sprinters, coaches and other types of vehicles we have customized. 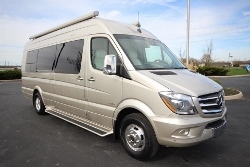 Included are photos and descriptions of custom MCI bus conversions, custom (Mercedes Benz, Freightliner, and Dodge) Sprinters, custom SUVs, custom (class A, class B, and class C) RVs, custom Dodge ProMaster vans, Prevost motor homes, Ford Transit vans, and custom trailers. We do not believe in putting any boundaries on your imagination, so we never limit your custom conversion to set floor plans or restricted designs. Tell us your needs and desires and we'll design and build your custom vehicle by hand, with the functionality you just can't find in mass production. We work with you throughout the process to create what suits you! 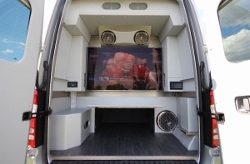 Creative Mobile Interiors combines excellence in engineering, high quality products, the latest technology, proven building methods, close attention to detail, years of experience, and caring customer service, to deliver you a beautiful and worry free custom vehicle that will be enjoyed for many years to come. 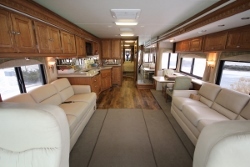 Let our professional team of design engineers, interior designers, electrical engineers, conversion artisans, and audio/visual specialists craft you a custom motor coach, full-size van, or pull-behind trailer that uniquely suits your needs and expresses your personality. 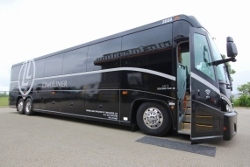 Sprinters, Trailers, Motorhomes, Shuttle Buses, Mini Coaches, and More! 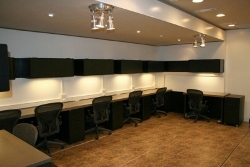 At Creative Mobile Interiors, we specialize in the custom conversion process. That is why we are able to perform custom conversions on many different kinds of shells. We work in harmony with many bus, vehicle, and trailer manufacturers to keep your warranties intact and provide you peace of mind. 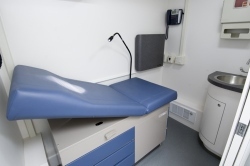 Come visit us at our state-of-the-art facility in Grove City, Ohio and see how we can help contour your custom bus conversion, promotional marketing vehicle, mobile medical unit or other custom project to capture your vision. Meet with our design engineers and together we will develop your idea via our new three dimensional design system and our CAD program. Next, meet with our interior designers in our material design center. Pick from hundreds of fabrics, leathers, carpets, laminates, granites, and solid surfaces. 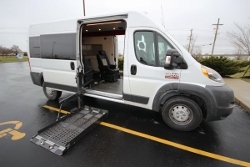 To put the finishing touches on your custom vehicle, we can design an exterior paint and graphics layout with the flash and appeal you desire.